These charming townhouses in Kissimmee offer a great starting point to explore Orlando, the world-famous theme parks as well as some great golf courses. Lake Berkley Townhomes – Hapimag provides several accommodation options that can sleep between two and siix people. 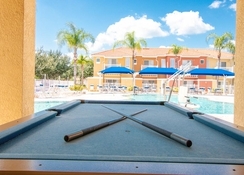 All the townhouses have a fully equipped kitchen, Wi-Fi, laundry facilities and there are other on-site amenities for you to relax after a long day around Orlando. 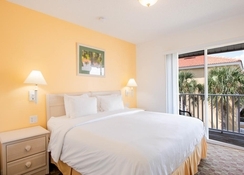 The resort provides easy access to all the Disney attractions as well as SeaWorld and Universal Studios. 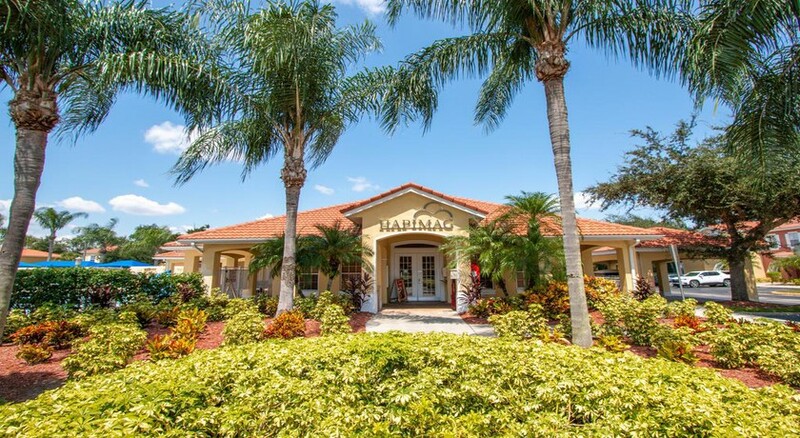 Lake Berkley Townhomes – Hapimag is suited for couples, families with children and larger groups who want relaxing accommodation just outside the hustle and bustle of Orlando itself. 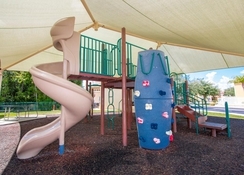 Lake Berkley Townhomes – Hapimag is in Kissimmee which is located south of Orlando and it is recommended that you have a rental car for your stay here. These townhouses are close to many of the main attractions in Orlando which includes Disney’s Hollywood Studios (6.8 miles), Epcot (7.2 miles), SeaWorld (7.6 miles), Walt Disney World (10.6 miles) and Universal Studios is 17 miles from the property while the Orlando International Airport is 13.4 miles away. Lake Berkley Townhomes – Hapimag has four fantastic accommodation options that sleep between two and eight people. One Bedroom Suites are for two guests and feature an extra-large double bed, a Two Bedroom Townhouse can sleep four people, Three Bedroom Townhouses have capacity for six people while the Four Bedroom House can accommodate eight people, and also have a private pool – ideal for large groups. All the suites and townhouses have full equipped kitchens, Wi-Fi and laundry facilities. These townhouses are self-catering and have a fully equipped kitchen where guests can prepare their own meals. There is a Walmart 1 mile from the property and you can find an Aldi just 2 miles away from the location for shopping. The surrounding area also has a host of other eateries including a Subway. 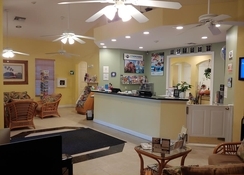 The resort has a range of on-site amenities including a tennis court, basketball court, access to a fitness room and there is catch and release lake-side fishing too. Guests can also use the two outdoor swimming pools and hot tub. There are a number of golf courses in the local area including Falcon’s Fire Golf Course and Celebration Golf Course where you can play 18 holes under the great weather Florida experiences. Less than 2 miles from the resort you can also find go-karting, a fun park and the Kissimmee Sports Arena & Rodeo. Prime Outlets Orlando is also close for any shoppers.